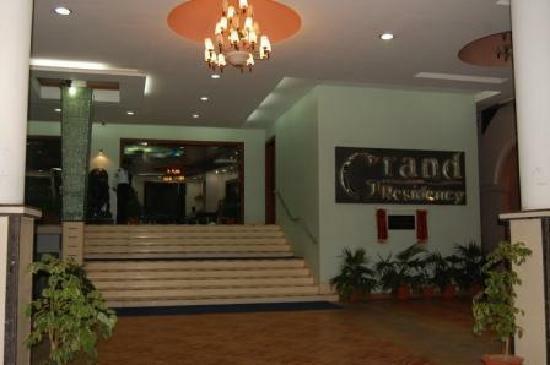 The Grand Residency is a contemporary style hotel designed keeping in mind the frequent business traveller as well as family vacation. 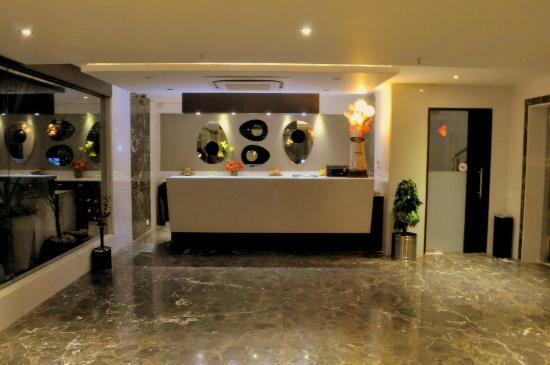 The amenities are plenty and the service rendered is unmatched to keep the customers satisfied. Banquet hall are available to conduct business meatings and family functions. The proximity to central bus stand and railway station is just half a kilometre away while the airport is 20 km away. 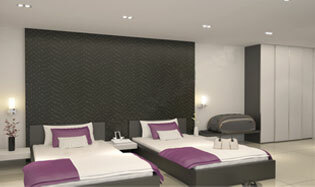 There are 35 rooms with different variations to suit the varied needs of guests. 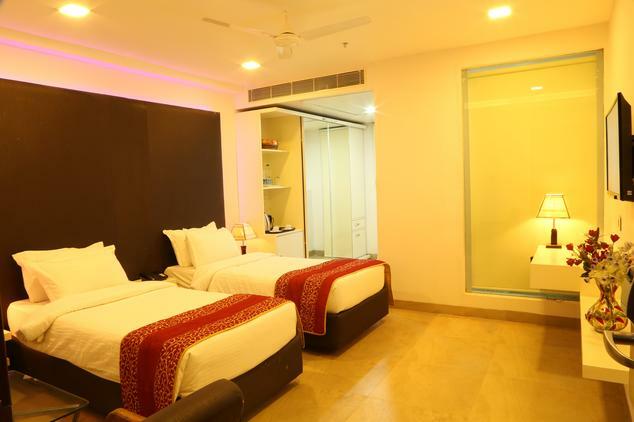 Executive rooms are tastefully designed to make the guests comfortable and feel at home, be it business travellers or family outing. 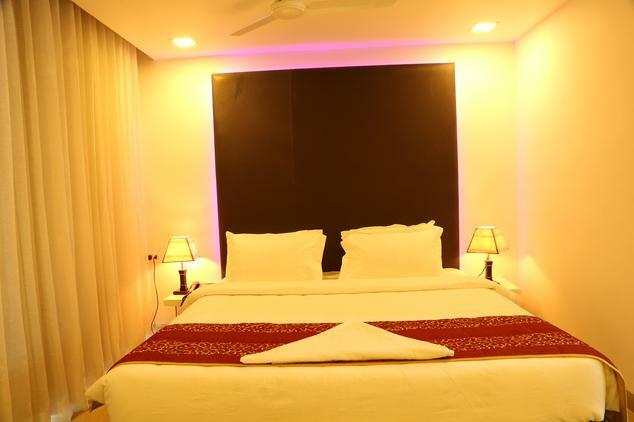 The rooms have mini bar, safety locker, flat colour television with cable or satellite connection, express laundry for convenience of business clients and doctor on call in case of emergency. Wi-Fi connectivity is available inside the premises. Breakfast is complementary. 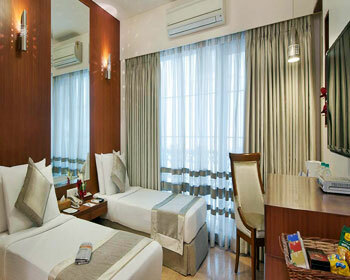 Deluxe rooms are double occupancy rooms and can accommodate an extra person (extra charges apply). 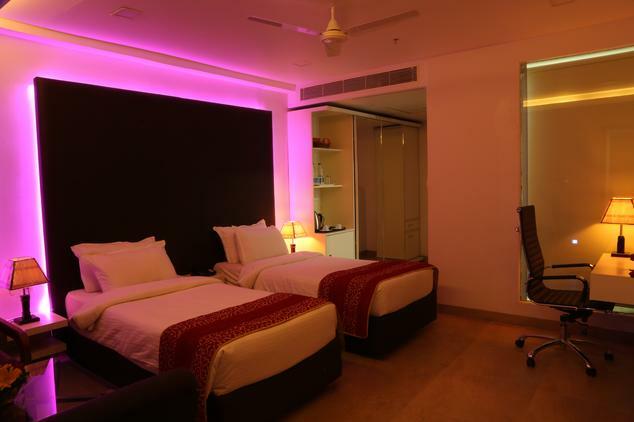 The amenities are similar to executive rooms and provide unmatched comfort and relaxing space for the stay. The beds are king size and a seat seating arrangement to relax. The hotel has plenty of parking spaces, room service is also available. 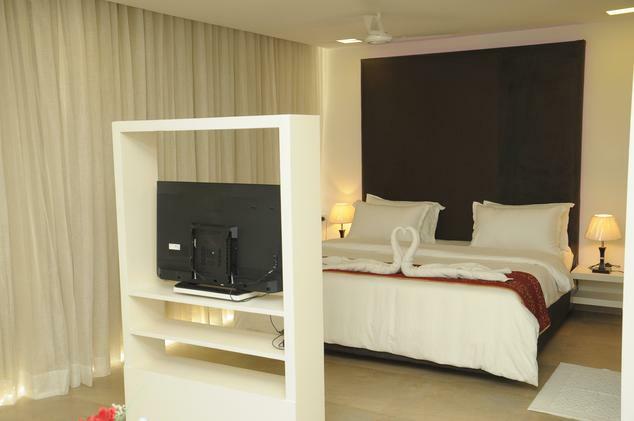 Superior rooms stands for its name, the decor is superior with detailing given to each and every corner of the room. The room is decorated in such a way that it lifts the holiday mood of the guests thus making the stay a memorable and cherish able one. Room service, laundry, doctor on call and travel desk are available to serve you. 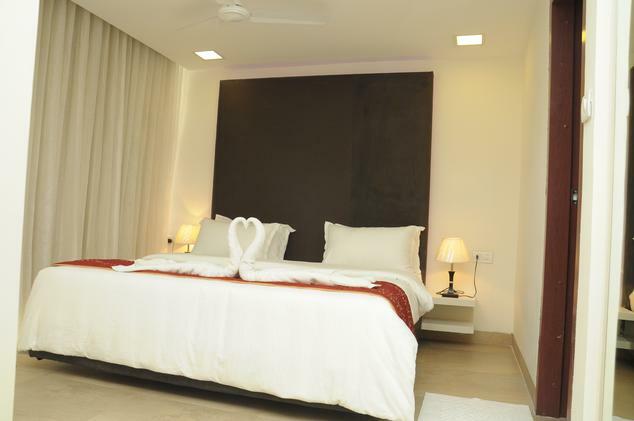 Suites are bigger and spacious accommodation for all those who want to have homely feeling. 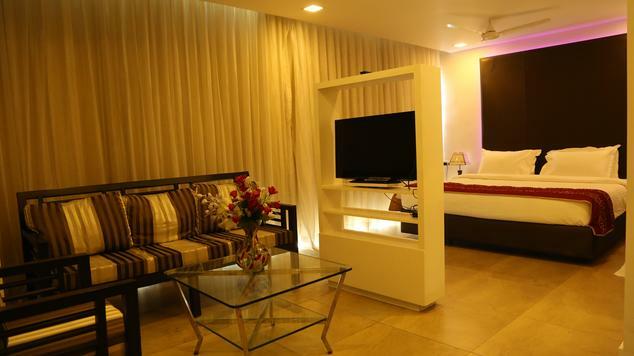 Living space provides relaxing time in the comfort of couch and the king sized beds are perfect for two. Extra person can also be accommodated at extra charges. Complimentary breakfast is provided for all guests which will be a combination of continental and local cuisine. Grand suites are designed to display grandeur. The luxury starts from the interior designing of cupboards, mirrors and continues to bath fittings which will give feeling of uniqueness and pampering. 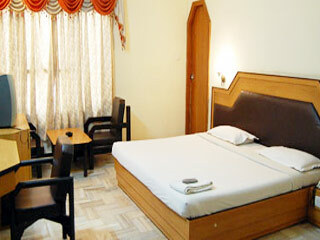 Services are always on express way and satisfaction of guests is given at most importance. This is the multi cuisine restaurant dedicated to serve in house guests as well as guests from public. The menu card displays a plethora of dishes to satisfy the needs of varied guest dropping in to quench the craving taste buds. The menu has cuisines from Chinese, Indian and western. The simple and elegent decor provides the best place to relax and enjoy a meal with family and friends. Come experience the stay and food to cherish a life time. This is the bar at Grand Residency a place where you can hang out and forget time. Best lables from nation and international are available for guests to enjoy. Sufficient snack menus are also served.